In addition to being quite resourceful in various ways, furniture is a crucial part of home decor as well as that of your commercial premises, in both indoor and outdoor environments. There are many different types of furniture depending on the purpose of use, style, design, and material of construction. With most of the focus on materials, wood, metal, marble, and plastic are among the commonest furniture construction materials used. One of the most praised options among these is wooden furniture. Especially as far as decor is concerned, wooden furniture is highly praised for providing an aesthetically appealing natural look, especially when properly finished. Depending on the construction design and type of wood used, wood furniture can be extremely durable, highly attractive, stain resistant, and easy to maintain. With regards to chairs, Adirondack Chairs are among the most iconic pieces of outdoor furniture. But what are they and how can you choose a good one to improve the aesthetic appeal and convenience of your outdoor surrounds? 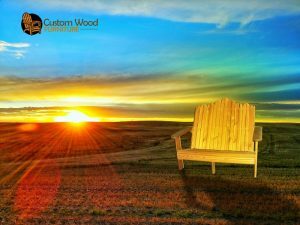 Read below to get more helpful information about Adirondack Chairs, including examples provided by Custom Wood Furniture. Adirondack Chairs In A Nutshell: What Are They? Adirondack Chairs are a popular wooden outdoor chairs that consists of an arched back with wide wooden slats and a deep sloping seat. In most cases, the arms are flat-shaped to provide maximum convenience and comfort. It is among the best chairs to place outdoors, in your home garden or backyard where you can relax alone or with friends and watch the afternoon fade away. Whether you get it for your home’s patio, porch, or your garden, Adirondack Chairs are highly effective in enhancing outdoor decor in overall. The name was actually coined after the highly appealing wooden chairs that were designed for visitors of the Adirondack region in New York, which was once a mammoth tourist destination in the late 19th century. 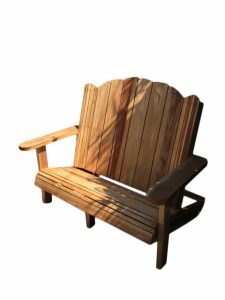 However, the first Adirondack chairs were made from traditional wooden crates, wooden leftovers from sawmills, and salvaged wood. With time, this outdoor chair has evolved in design and structure, but it still maintains the rustic simplicity and iconic appeal. Needless to say, non-wooden Adirondack chairs are also available, even though most people prefer the elegance provided by the natural look and feel of wooden options. They also exist in a wide variety of shapes, designs, styles, colors, and sizes. 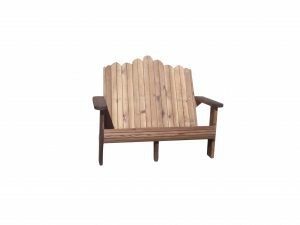 Now that you know some bit of basic information about them, let’s get straight to the crucial pointers to look at when buying an Adirondack chair for your outdoor space. It goes without saying that among other things, the design, color, and type of your furniture will greatly affect the look and feel of your outdoor environment. However, there are several important qualities and features to look for when selecting furniture pieces that will work best for you and fulfill your desired needs. 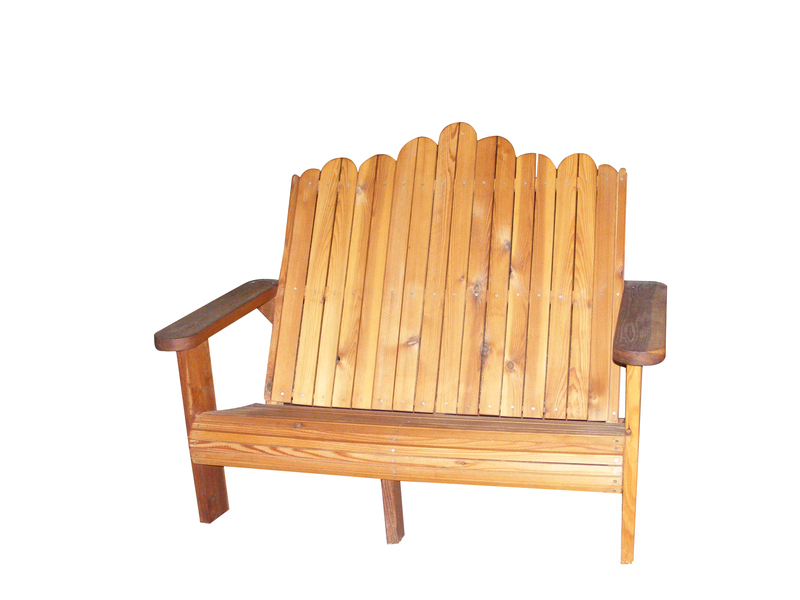 Below are a few considerations to make when buying an Adirondack Chair. As stated above, Adirondack Chairs can be constructed from a wide variety of material options. Some of these include plastic and wood. The type of material will basically be a determinant factor as far as durability, stability, and ease of maintenance are concerned. Wooden chairs can be painted, oiled, stained, or left without a finish for the weather to turn the wood color into a natural finish. Some of the most common types of wood used include teak, cedar, cypress, pine, mahogany, and oak, among others. Teak, cedar, oak, and mahogany are among the most preferred types of wood with regards to durability, weather resistance, and ease of maintenance. Colors and appearance may also vary with the type of wood the Adirondack Chair is constructed from. When choosing an Adirondack chair, also consider the comfort factor in terms of the seat and back material. If you’re looking for more comfort, a chair with additional cushion padding on the back and the arms can be ideal. 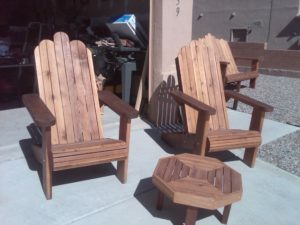 Furniture design is another highly important factor to look at when choosing an Adirondack Chair. In most cases, Adirondack Chairs feature a unique simplistic and iconic design similar to the one described earlier. However, variations are also available, especially when ordering from Custom Wood Furniture. Modified designs include folding Adirondack Chairs and reclining chairs, which are designed to improve the convenience of portability and comfort respectively. Other options are also designed to feature some level of adjustment to allow easy adjustment in terms of height and sometimes angle of inclination. Some chairs have an extension that supports the head such that you can adjust the inclination to a position where you can comfortably take an outdoor nap during the afternoon. Rocking Adirondack Chairs are also available, which are mostly made from yellow birch, a wood type wood that provides an admirable leather-like texture and immense strength. Rockers can also be made from mahogany, which is also durable and highly weather resistant. Additionally, some types of Adirondack chairs also feature a design that includes a slide-out ottoman, which provides you with added comfort for your feet as you bask in the sun. There are also other unique Adirondack designs, including gliders, porch swings, and benches, just to name a few. You can even come up with your own creative design and have a Custom Wood Furniture provider construct it for you. Common styles range from traditional to modern and sophisticated. How easily can you move your chair from point A to point B in the outdoor space? Well, the answer to this question lies in the size and weight of your chair. Even though it seems to have a standard size, Adirondack Chairs can come in various sizes. The most common chairs are designed with a seat that can accommodate one, two or three people. However, customer options can be as large as you would prefer depending on your specific desires and purpose of use. Depending on the space available, you would also want to go for a chair that would fit into your outdoor space without causing obstruction or affecting free movement. On the other hand, the weight is mostly dependent on the wood type used, and perhaps how long the wood has been seasoned. 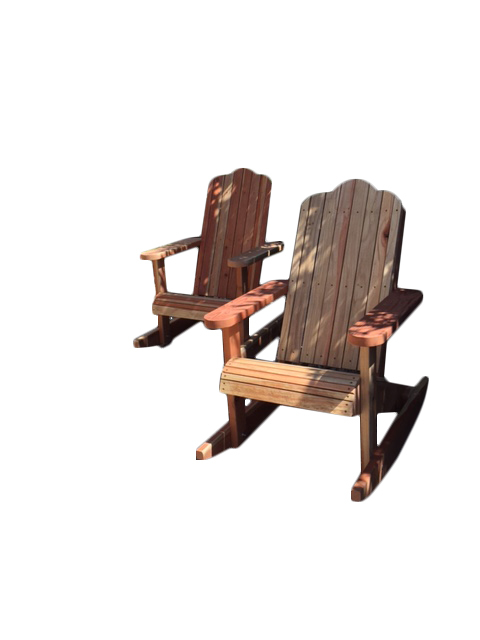 Weight and size are highly important considerations before buying Adirondack Chairs, especially if convenience and easy portability are your principle concerns. How long can the chair withstand wear and tear during usage? How long can it last without getting weaker falling apart? These among the most important questions to ask yourself before buying any type of chair, just to be sure you get the best value for your money and time. As earlier stated some types of wood used to make chairs are more durable, stronger, and more weather-resistant than others. Other aspects that would affect durability may include factors such as the quality of joinery, design, and assembly. As an outdoor furniture piece, it is important that an Adirondack Chair is either made from a naturally weather-resistant material or it is covered with a weather-resistant coating for a longer lifetime. 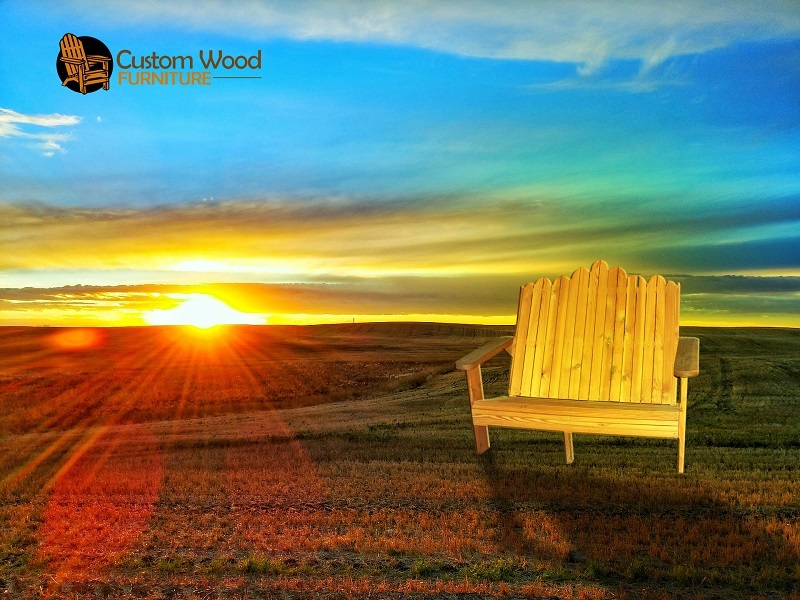 If you’re looking for an option that will stand the test of time, go for an Adirondack chair from hardwood such as oak, teak, and mahogany, or a softwood furniture options such as cypress, cedar, and pine with protective weather resistant finish. Comfort is a crucial factor, and so is safety when choosing home indoor and outdoor furniture. When buying Adirondack chairs, also be sure to go for one that is stable and well finished, with a smooth texture to eliminate the possibility of injuries, say from protruding screws or nails. Naturally, Adirondack chairs are designed to provide maximum comfort for relaxing in the outdoor space. You can enhance comfort by adding chair cushions and pillows, even for the models that do not come with these features from the manufacturer. Pillows and cushions are also available in a wide variety of options to choose from, in terms of color and style. Color and style are also crucial aspects when it comes to enhancing your home’s curb appeal, including the outdoor space. Visitors feel appreciated treated and adore your home when they get to sit on adorable furniture units. It is paramount that you select a chair that will blend well with the other components of your outdoor space in terms of colors, styles, and overall appearance. You can as well choose options that are compatible with your preferences or kind of lifestyle. Lucky enough, Adirondack chairs are available in a wide variety of colors, again depending on factors such as the wood type, type of finish, or your own preferences, including custom-made options. Adirondack chairs can also come with matching side tables and other pieces of furniture. These are mostly designed to enhance sociability in outdoor spaces. They are mostly suitable for outdoor occasions such as BBQ parties, family dinner, pool parties, and the like. Themed custom options can also be made available upon request from a Custom Wood Furniture. 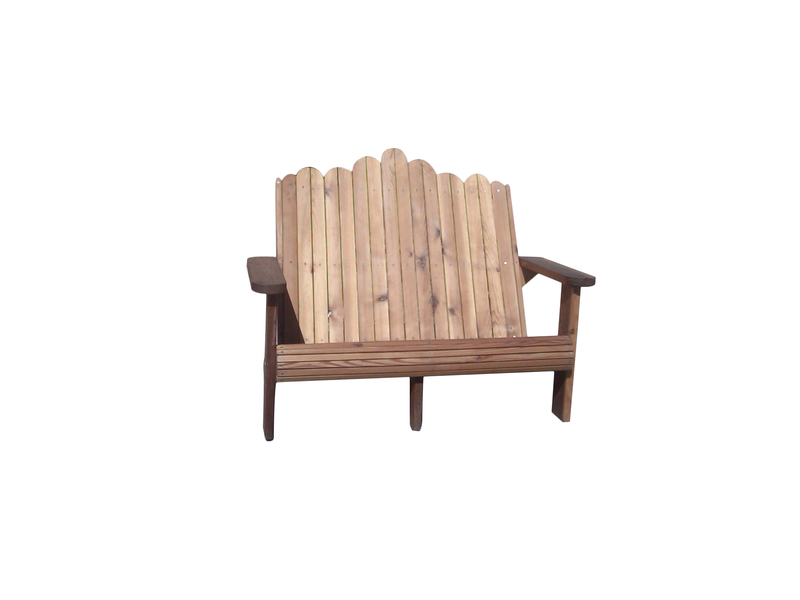 The other important factor to consider before buying an Adirondack chair is the convenience of use. You would want to buy a product that is easy to assemble, easy to clean, and easy to maintain. Especially for the fold-able options, is it easy to fold and keep away after use? How often does it require cleaning and maintenance care such as oiling? After how long will you have to apply paint or clear varnish? These are among the most crucial important questions you should seek answers for when it comes to convenience of use. of course, if there is need to refinish, apply oil or repaint after some period of use, you will want to know the type of finishing product you need. It is extremely important to carefully choose where to purchase your furniture, especially with regards to outdoor furniture. Needless to say, not all vendors out there in the market may be genuine enough to offer you the best quality of Adirondack chairs. As a matter of fact, some are known to have the tendency of cutting corners in order to save on the construction costs at your expense. It is, therefore, always advisable that you enough research on a furniture dealer before buying Adirondack chairs from them, just to be sure you get value for your time and money. 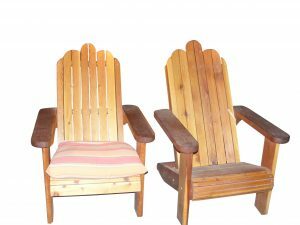 Here are a few important things to consider when finding a good Adirondack chairs dealer. A furniture company that has been in the business long enough will most likely have a good reputation as compared to than a newcomer in the industry. You can also conduct searches from the internet databases, directories, and review sites, just to be certain about a particular company’s legitimacy. You can even engage particular your neighbors, colleagues or even friends and family can also help you with more information about a particular furniture company. Especially when looking for Custom Wood Furniture, seek detailed information about the company to know exactly who you are dealing with. Another important factor is to consider asking for samples for common Adirondack Chair designs that the company deals with. Ask for physical or digital samples of the common chair designs, so that you get plenty of options to select from in case you’re pleased with their variety. Samples of finished products can be in form of images, videos or the physical products available in their showroom. Last but not least, the cost aspect is an inevitable you should go for expensive and elegant selection to ensure that you receive quality and durability as well. It is also important to consider whether a furniture company offers support in case you have an issue with, say assembly of the product, maintenance advice, repainting, refinishing, and such. Also, consider if you can rely on them for repairs and refurbishing if the need arises in the future. Are their Adirondack chairs covered by a warranty?